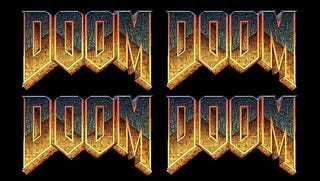 Doom 4 Is A Reboot. And It's Not Called Doom 4. The game's been in development... hell for years now, but today at QuakeCon, id is showing off the first actual footage of Doom 4. Here's the catch, though: the people in attendance at QuakeCon are the only people who are going to see it. There is no streaming, no trailers, nothing. All those of us in the outside world have to go on are what we always have to go on in these circumstances: tweets.